Once upon a time, not so long ago, a girl thought she’d make some workout videos for derby players. 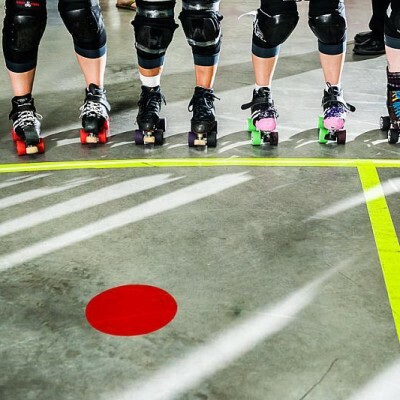 And somehow, to her surprise, that girl began to reach skaters from around the world, helping them meet some of their derby and fitness goals. And along the way, she learned how to make the videos look a little more professional, and prevent her pants from falling down in the middle of them. That’s right. One of that girl’s first videos ever was the Killer Core 250 Workout, and it featured an excellent wardrobe malfunction. Good times. Nevertheless, the workout still has its merits – it worked on lateral stability and core strength that is directly applicable to delivering or receiving hits and staying on your feet when you get knocked off balance. Plus it made us huff and puff, AND it involved absolutely zero crunches. Hooray! 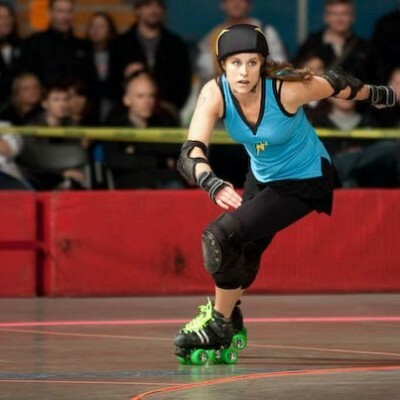 So with all that in mind, that girl from 2 years ago is still working away at it, and trying to bring the derby community some helpful content that will make everyone be more fierce on the track. I bring you, therefore, the Killer Core 251 workout! Revamped, updated, and with one extra rep added for good measure! Here’s how the workout goes – you only need a mat to do this workout! If you want to make this workout harder, repeat all again! 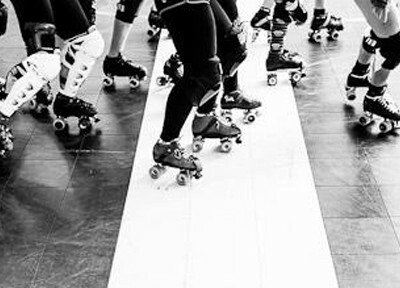 Do you have another great derby-specific core move that’s not shown here? Leave me a note in the comments below – there might just be a prize involved!! Have you ever done this core workout with skates on? Mmmm…. nope! You could swap out the high knees for fast laps of the track though! Just be careful to use good form with the skates on as they add a lot of extra weight to some of the exercises. If you feel any low back pain, ease up!